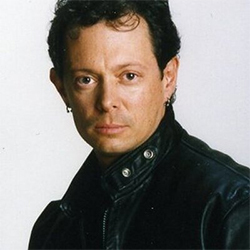 An American creator, writer, and producer of comic books and films, Brian Pulido is known for his unique brand of edgy, pop cultural entertainment and merchandise. He has raised one million dollars in 10 Kickstarters since Feb. 2015. Pulido has created, written or co-written hundreds of comic books, including Lady Death, Evil Ernie, Purgatori, and licensed comics including A Nightmare on Elm St. Chucky, Friday the 13th, and Texas Chainsaw Massacre. He has published licensed comics for WWE and movie brands including Universal’s The Mummy and Halloween. Marvel Comics and Dark Horse have published his stories comics, among others. As the president of Chaos! Comics, Pulido was the leading independent comic publisher of the 1990’s. As creative director, Pulido won twelve international printing awards and oversaw hundreds license items including action figures, statues, trading cards, and apparel. Pulido received the Comic Book Legal Defense Fund’s Defender of Liberty award for his fundraising efforts in support of first amendment issues and is on the board of Directors for The Hero Initiative. He co-founded the International Horror & Sci-Fi Film Festival in Phoenix, Arizona. Pulido is a graduate of New York University’s Tisch School of the Arts Motion Picture and television Department.